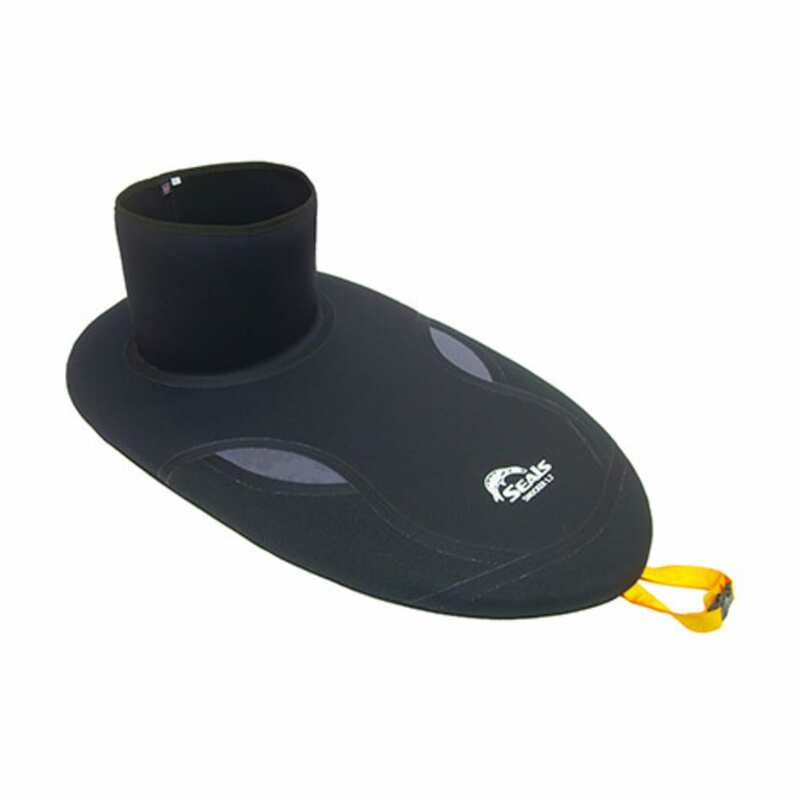 This robust all-neoprene sprayskirt is suitable for extreme river or open water conditions. Hand-crafted from bomber 4mm neoprene, the Seals Shocker Sprayskirt features glued, blind-stitched and sealed seams, underside rim gripper dots and top-edge Sealtex wear guarding. Available in small through extra-large form-fitting tunnel sizes.